The way Mustang looks, drives and sounds is key to the visceral experience that makes drivers want to just get in and hit the road. With more options to choose from, there is a Mustang to fit any lifestyle. The upgraded V6 and V8 are joined this year by an all-new 2.3-litre EcoBoost® engine that brings state-of-the-art technology to Mustang. 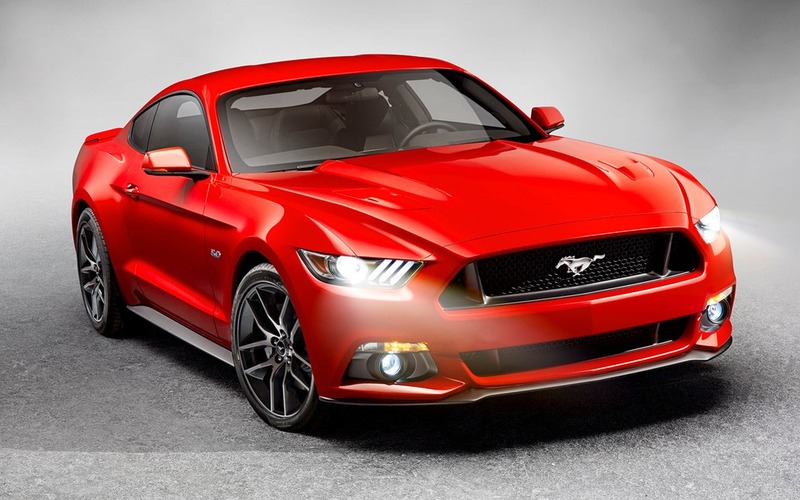 Mustang GT continues with the latest edition of the throaty 5.0-litre V8, now featuring an upgraded valvetrain and cylinder heads that yield more than 420 horsepower and 396 lb.-ft. of torque. A new intake manifold improves low-speed breathing for better fuel economy, idle stability and emissions. With at least 300 horsepower and 270 lb.-ft. of torque on tap from the standard 3.7-litre V6, even the most accessible Mustang delivers the performance customers expect. Drivers will appreciate smoother shifts from the updated manual gearbox, while a reworked automatic transmission features new steering-wheel-mounted shift paddles for drivers who want the choice between convenience and control.